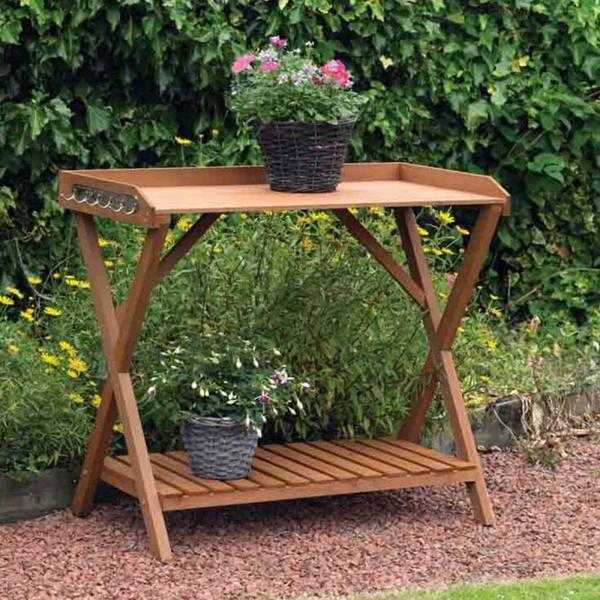 Hardwearing wooden table provides extra space for potting plants. Made from Pressure treated Chinese Fir Wood in a tinted brown colour. Simple assembly step by step instructions included. Features 6 x hooks to conveniently hang tools.